Trial is your 'day' in Court. It is your final opportunity to convince the Judge why she/he should accept your story and give you the remedy you are asking. Judges make decisions based on the evidence presented to them at trial. Just because you are a good person and have never lied in your life may not be sufficient for a Judge to rule in your favour. This course provides guidance on the procedures relating to trials in Ontario Small Claims Court and strategies which will enable you to effectively present your case at trial. 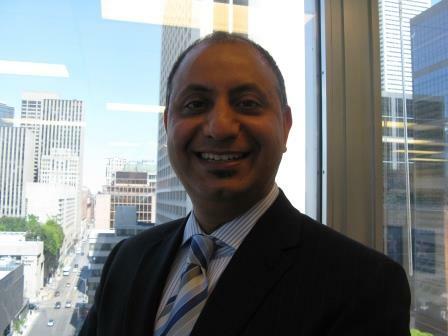 Amer Mushtaq is a Toronto-based lawyer with nearly a decade of legal experience. He is the founder of You Counsel, YouCounselforums and Formative LLP. Previously, Amer has worked at one of the top National firms in Canada. In his legal career, Amer has worked for and against some of the top lawyers in the country. Amer is also a passionate legal educator with strong teaching credentials. He is a faculty member of Osgoode Hall Law School's Professional Development course on small claims court procedures, which is attended by lawyers, paralegals and law clerks. Amer is also a former adjunct professor at Seneca College where he taught a legal course to post-graduate students. He has also spoken as a guest lecturer at University of Western Ontario Law School, and has presented at numerous conferences at Ontario Bar Association, Law Society of Upper Canada, and the Federation of Asian Canadian Lawyers.